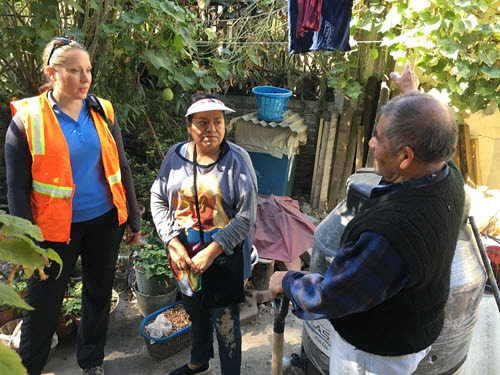 An ASCE Infrastructure Resilience Division team traveled to Mexico in November, gathering information about the region’s recent earthquakes to help engineers better understand how to make infrastructure more resilient. 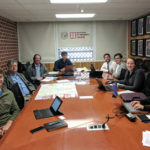 Craig Davis, Ph.D., G.E., P.E., M.ASCE, Water System Resilience Program Manager for the Los Angeles Department of Water and Power, and Allison Pyrch, G.E., P.E., M.ASCE, an associate geotechnical engineer for Hart Crowser Inc. in Vancouver, WA, serve as the team’s co-chairs. 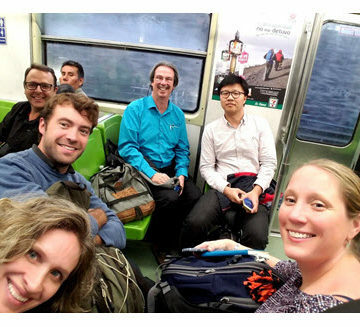 Follow the team on Twitter at #quaketeamASCE. The team also has filed several reports to ASCE News from the field. As I sit here in the airport going through my notes on an amazing week in Mexico, reviewing all that we learned, I’m struck by an overwhelming sense of awe. 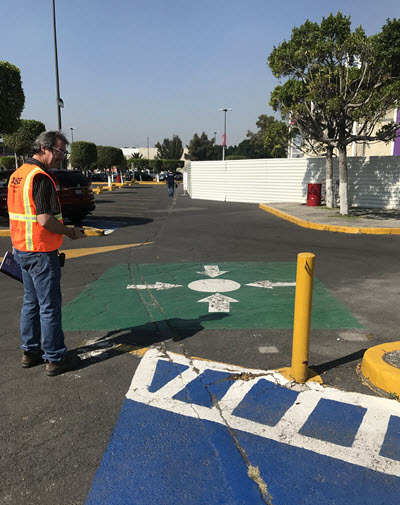 Although Mexico had deaths, damage, and challenges after two large earthquakes, Mexico City is a shining example of what is possible when a large population center faces natural disasters. Coming from Oregon and Washington, where we are often paralyzed by fear of our seismic risk, Mexico’s passion, organization, and ability to make strides towards a resilient community is inspiring. Of the many lessons learned, I am most interested in sharing at home the commitment to changing building codes to ensure that both new and older structures are seismically ready for the expected earthquake shaking in the region. 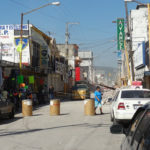 On Nov. 27, the Commission of Reconstruction will be releasing its report on the actions Mexico City will take in the next year to change and update building codes to increase standards for new buildings, require upgrades of older structures that were damaged in this earthquake, and institute financial incentives to make this more affordable for building owners. In a city that saw 39 buildings collapse during or soon after a magnitude-7.1 earthquake, these measures should be something we consider in a region where a large earthquake is imminent. 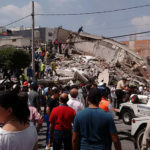 Another striking comment that was repeated by several agencies was that although Mexico City has a long history of earthquakes, they still feel that better education and preparation are needed to facilitate a better emergency response. One place where better planning for response was needed and would be easily implemented is in the education of public employees. In the event of a large disaster, all of our public employees from engineering to human resources to finance will be needed to respond. The City Mobility Department indicated that its secretaries were used to direct emergency traffic after the event, but they lamented that there were still employees who didn’t know where to go or what to do. The director stressed that he would be implementing a plan so that every employee in his control would have a specific job and place to report in the event of a disaster. This way, more hands are available and ready to jump in and respond. I feel this is true for our private engineering community as well. Do you know how you and your employees will be helping after a major disaster? Do you know which clients will need you? Have you discussed a prearranged contract or agreement so that you can meet their post-disaster needs as soon as possible to facilitate a faster recovery? Do you know how you and your employees will be helping after a major disaster? Do you know which clients will need you? Have you discussed a prearranged contract or agreement so that you can meet their post-disaster needs as soon as possible to facilitate a faster recovery? A third amazing takeaway was the immediate and active public response. Mexico City residents pulled together and joined in to rescue people, help their neighbors, and aid the city in emergency response immediately after the event and for days following. Many of the groups we met with indicated that this was a relentless force that would be good to train and harness into a more efficient and safer means to respond to a disaster. Pre-disaster training, public education, and disaster coordination is imperative in today’s world of social media and fast-moving information. 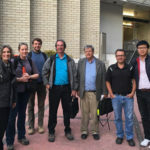 Mobile apps were used by citizens to organize supply chains via bicycle and motorcycle in the face of terrible after-event traffic and roads that were impassable due to ground cracking and structure damage. For the Pacific Northwest and other areas facing large natural disasters, preparing our citizens to remain calm and respond in a safe and organized manner is a great way to increase the ability to reach vulnerable and isolated populations. Overall, my week in Mexico made me aware once again that in the case of large natural disasters, the United States is still behind many areas of the world that experience these events on a more regular basis, especially in areas where seismic hazards are high. Mexico made huge strides after their devastating quake in 1985 and will make even more progress once they implement polices based on lessons learned during the September 2017 events. I hope that our trip can help bring these lessons back home, so we can prepare and mitigate for our expected events, instead of waiting to learn the lessons ourselves.